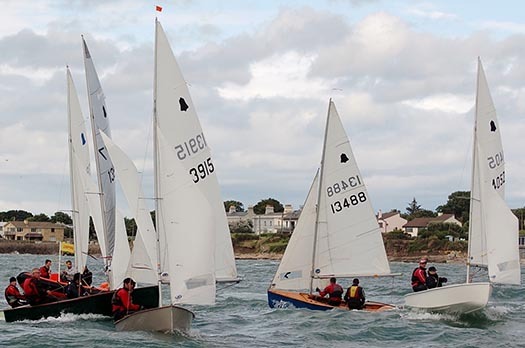 Just Who Do The Irish Sailing Association Think They Are? #irishsailing – Ireland's national sailing authority has been going through turbulent times in recent years. With unprecedented expansion of ISA staff numbers as the country revelled in the boom years of the Celtic Tiger, the arrival of the inevitable and abrupt financial downturn found an Association bloated, unfit to cope, and out of touch with ordinary sailors. High profile events, top level training and international participation had become so dominant in the ISA's range of activities that many of the ordinary sailors of Ireland already felt the Association was no longer relevant to their own low key personal pursuit of friendly sport afloat. When the crash came, it led to a marked decrease in active sailing numbers as disposable incomes fell away. People focused on keeping their jobs and businesses afloat rather than their boats sailing, while many promising young sailors were forced to emigrate. This new reality was reflected by the growing disillusion of club officers, who saw their membership subscriptions decreasing even while the ISA – which is largely reliant on subvention from the clubs for its own income – seemed always to be looking for more money. And at the height of the boom years, when all the major clubs had put through significant expenditure in developing their facilities to international standards, the ISA had shown its lack of contact with the reality of club life by proposing its own stand-alone National Sailing Centre in Galway, a facility which would in effect have been run in rivalry to the main clubs. To the mutterings in the grass roots were added the rumblings from above as major clubs threatened to withhold their annual payment to the ISA unless real reform was initiated. W M Nixon takes up the story. In a classic grass roots revolution, club sailors Norman Lee from Greystones in County Wicklow and Bryan Armstrong from Sligo were at first rebuffed when they tried to voice their concerns about the ISA's increasing irrelevance to the needs of the vast majority of sailing enthusiasts, people at local level who were doing their very best to keep the sport alive through torrid times. The Irish sailing community now owes these two men and their supporters a debt of gratitude, for they believed in what they were saying and they refused to be turned aside. Eventually, in November 2013 moves were in place to establish a Review Group for the urgent analysis of all ISA activities, and its personnel drew comprehensively on Ireland's remarkable pool of people with hands-on experience of running successful sailing events and organisations. It was chaired by Brian Craig of Dun Laoghaire who has headed up the organising team on more major and notably successful international sailing events in Dublin Bay than probably anyone else, and its able personnel included two former ISA Presidents - Roger Bannon of Dun Laoghaire and Neil Murphy of Malahide and Howth - who had both been noted for their skill in running a tight ship when they were in charge. With them was highly regarded International Race Officer Jack Roy of Dun Laoghaire, and renowned sailmaker/activist Des McWilliam of Crosshaven, who each year is inevitably seen in busy involvement afloat in more Irish sailing centres - large and small - than anyone else in the boat world. Also on board was one of the men from the barricades, Bryan Armstrong of Sligo. His background in a relatively remotely-located club which nevertheless has a long and distinguished sailing history made him uniquely qualified to voice the concerns of the grass roots. And we have to remember that all these people were giving voluntarily and generously of their time to this project in a period when Irish life was largely a matter of just getting through each day, while staying economically afloat was something of an achievement. Primarily, the Review Group's function was to analyse the Association work on behalf of ordinary club sailors, as it was agreed that the Olympic and High Performance Divisions of the ISA's activities – which receive direct Sports Council grants – were in effect functioning as a different entity. The Strategic Review Group was still work in progress when the ISA acquired a new President in David Lovegrove in March 2014, but by August the SRG published proposals which led to the setting up of a more formal body, the Planning Group. If this seems like a case of kicking the can down the road, it was anything but - these were people in a hurry, they'd got through the first stage of analysing areas where action was required, now they had to be more structured in coming up with clearcut ideas and concrete proposals. This new Planning Group, which went into action in early Autumn 2014, was chaired by Neil Murphy, and its members included ISA President David Lovegrove, ISA Board Member Brian Craig, Ruth Ennis, Peter Redden, Sean Craig, and ISA CEO Harry Hermon, with noted Dun Laoghaire events administrator Ciara Dowling to provide administrative support. They had their draft plan ready by mid-December 2014, and on January 21st 2015 Neil Murphy and his group publicly unveiled their analysis and proposals for the first time at a well-attended and very representative meeting in the Royal St George YC in Dun Laoghaire. While those involved in setting the ISA on a healthier course are mostly working on a voluntary basis, it has to be said that the PowerPoint presentation and the printed material was of the highest professional class. In fact, it was much better than many professional shows I've been to, and the level of thought which went into a wide range of questions from the floor answered by Neil Murphy, Brian Craig and David Lovegrove generated a growing level of goodwill which concluded with Norman Lee voicing his congratulations and good wishes for this continuing process in which he and Bryan Armstrong had played such a key role. So now we move on to the next stage – taking the ideas to the rest of the country. Doubtless you'll have noted the double meaning in titling this piece 'Just Who Do The ISA Think They Are?' In a first interpretation, that question is the one for which, let's hope, we are all now involved in working together in providing and implementing a satisfactory answer. But equally, as the ISA Road Show gets out of Dublin to take this excellent presentation to a public meeting in Cork next week (it's in the Rochestown Park Hotel on Tuesday, Feb 17th, 7.0 pm to 9.0 pm) and then Galway the week after (Galway Bay Sailing Club, Tuesday 24th February 7.0 pm to 9.0pm), they'll be taking themselves into areas where experience of sailing administration long pre-dates the establishment of organised sailing on Dublin Bay. And as for going west along the road to Galway, that will take them through Athlone where the Lough Ree Yacht Club dates back to 1770, while on the west coast the Royal Western of Ireland YC at Kilrush traces its origins back to 1828. Equally, further north along the Atlantic coast Sligo YC dates back to 1821, and in Lough Erne the club began in 1820. Yet the first club on Dublin Bay, the Royal Irish, only began as recently as 1831, and even then it barely hung in and had to be revived in 1846, with the pace being set in the meantime by the Royal St George YC, founded 1838. So in terms of sailing administration history, Dublin and Dun Laoghaire are only Johnny-come-lately places by comparison with just about everywhere else in Ireland. Yet thanks to the inevitable dominance of economic development, population growth and the strengthening centres of political power, we now find that sailing administration and decisions of national import are emanating from a place that, in terms of natural sailing advantages, lags far behind the rest of the country. Oh for sure, Dun Laoghaire Harbour is a fabulous artificial amenity, and the advent of the new marina at Greystones has already been seized upon as greatly increasing the "cruising" options of Dublin Bay. But let's face it, Dublin Bay is really only good for racing, specific day sailing and training, whereas Cork Harbour and Kinsale provide such a variety of opportunities for interesting race courses, mini-cruises with multiple destinations and what have you, that in effect they're not just in a different part of the country – they're a different country altogether. All of which adds to the difficulties of creating a meaningful national authority with which every sailing person can identify. This business of Dublin v The Rest is not unique to sailing, of course, but when you have a specialist sport with multiple sub-branches of activity, the problem is exacerbated. So please bear this in mind if you take yourself along to the meetings in Cork or Galway during the next ten days. This really is a genuine attempt to base the ISA within the sailing community at an everyday level of usefulness to all, with scope for growth while enhancing existing structures, and input from the sailing community at this stage will help in developing the ideas and initiatives proposed. While the draft ISA Strategic Plan 2015-2020 very definitely puts the emphasis back on to the need for healthy well-run clubs as the basis for the sport, there was initially a feeling at the meeting on January 21st that the new-look ISA is not supportive of commercial sailing schools. In fact, what the new-look ISA hopes to do is encourage training schemes within clubs, while at the same time supporting commercial sailing schools where the demand is such that no club could realistically cope while maintaining its essential club ethos. Going into this in more detail in a personal meeting this week with Neil Murphy, who is a Chartered Quantity Surveyor, we talked around the fact that a thriving club scene is central to the spirit of Irish sailing, and he was musing on the success of Sutton Dinghy Club where Hugh Gill heads up what is in effect a commercial sailing school within a club setting. In fact, what Murphy would hope to see emerge at larger population centres is sailing's equivalent of the public golf course. Anyone who has used a public golf course will be aware that the proprietors are usually mustard keen to encourage the formation of a "club" within their customer base, and there is no reason why this shouldn't eventually take root in Irish sailing, providing access to sailing at a fraction of the cost of joining an established club. It's not something which can realistically be objected to by established clubs trying to protect their own membership, as the people who would use a "public sailing club" would be those who simply couldn't afford to go sailing at all in the current traditional club setup. Nevertheless support for the established club setup is central to the new Strategic Plan, and the provision of Regional Development Officers to serve clubs directly is very much to the fore in the new thinking. But in looking over the figures published with the report, it's good to note that the ISA works with no less than 80 recognised training centres, while an encouraging statistic is that there are now 24 secondary schools in Ireland which include sailing as a regular part of their curriculum. Admittedly it's a long way from the French setup where every schoolkid is entitled by law to one week of sailing and one week of skiing per year, but in a country where an aversion to being on the water used to be thought inevitable, it's a step in the right direction. All these considerations of inexpensive sailing are a whole world away from the stories of recent weeks and days about the ISA's High Performance Division seeking a fund-raising executive who will be tasked with finding €2.75 million per annum through philanthropic and other donations in order to help the funding of top level campaigns which we're not allowed to call Olympic campaigns, as apparently that is copyrighted by the Olympic Council, so we call them High Performance instead. But apparently Government departments aren't restricted by this limitation on the use of the word Olympic, for it was bandied about like nobody's business in this week's news that the government is spending mightily through the Sports Council, with sailing being number three in all Ireland in terms of current Sports Council funding, with a total tag of €1,289,900. Of course it's not all for specifically Olympic sailing, but it covers 103 sailors from Optimists to the Olympics. Which is fine and dandy for those who are mad keen to race at the highest level, but most sailors in Ireland are much more interested in performing well within their chosen area and boat class, but with sailing being just part of a reasonably civilised and well-balanced life. And as became evident at the meeting on January 21st, there's an increasing number of people who feel that sailing needs to realise that there's a sizeable population out there of folk who'd like to go sailing, but don't feel the almost religious vocation to own a boat. 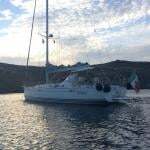 With the rapid expansion of sunshine sailing holidays with boats and equipment readily available for hire at the destination, there's a strong feeling there's a real need for more of this in Ireland, even if we can't guarantee the sunshine. The suggestion brings us back to both the "public sailing club" concept, and the growing realisation by established clubs that they have to reach out to potential members by having boats available for sailing on a trial basis. That said, the need to own one's own boat and tune and tinker with her to your heart's content is what sailing is all about for many of us, and Norman Lee is a classic case in point for this approach. 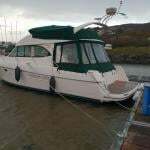 He claims that his sailing costs him just €600 per year, though that of course is after he has paid for his well-tuned GP14, and he has long since written off the cost of the vintage camper-van which is home to the Lee Equipe when they hit the campaign trail. Nevertheless the entire setup has to be outstandingly good value, and doing it in such economical style is part of the fun of it all. So when someone with Norman Lee's approach to sailing is prepared to get up at the big ISA public meeting in Dun Laoghaire and congratulate the team who have been working on the reforms which he and Bryan Armstrong set in train, then that is approval of a high order. And as for just who or what is the ISA, can we maybe agree that ideally we all are the ISA, every last one of us who goes sailing or is even just interested in the sport, and it's up to us to keep it in line and encourage it to identify with and serve the ordinary sailor every bit as much as the high-flyer.